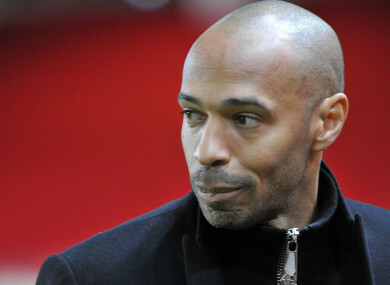 THIERRY HENRY SAID on Sunday that he regretted insulting an opposing player as Monaco were thrashed at home by Strasbourg, adding that he should have stuck to swearing in English. “Yes, I regret these words,” Henry said. Just before half-time, with Strasbourg winning, 2-1, Lala was delaying a throw when Henry was caught by French TV complaining and shouting “la putain de ta grand-mere”, or “your grandmother is a whore” in English. Email “'I just reacted, I'm sorry, yes, but I'm only human'”. Feedback on “'I just reacted, I'm sorry, yes, but I'm only human'”.